Against Me! 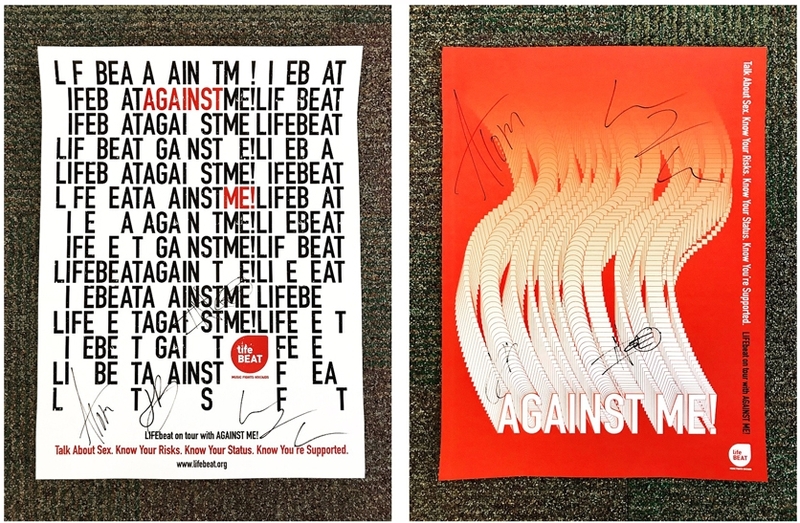 signed poster giveaway. 1) Follow LIFEbeat on Instagram or Facebook: @lifebeat. 2) Tag a friend in the comments of our giveaway post, and tell us why being aware of your sexual health is important to you. 3) Tag us in a post or regram. That's it! Entries close once the tour ends. Read more about our tour with the band here!